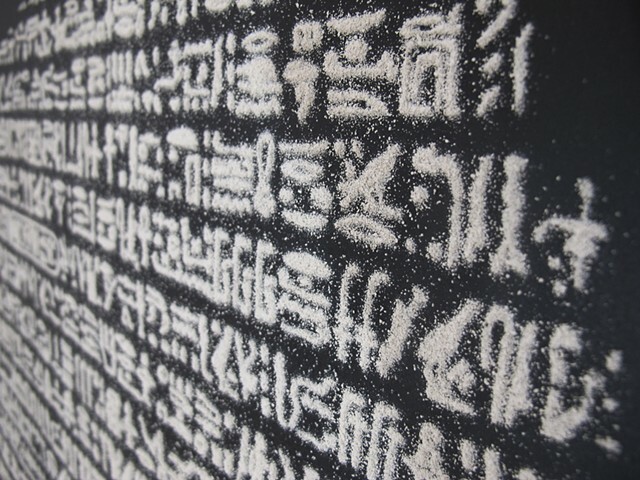 Using a blackboard and chalk I re-created the text of the ancient Egyptian Rosetta Stone. Each of the three languages inscribed on the Rosetta Stone are dead. The fragility and instability of this chalk version plays against the seemingly eternal quality of the original.